I finished the Drops of Blood Aestlight this morning so I thought it was a good idea to keep the mojo flowing with gifted yarns and useful shawls. Next up, another Multnomah. 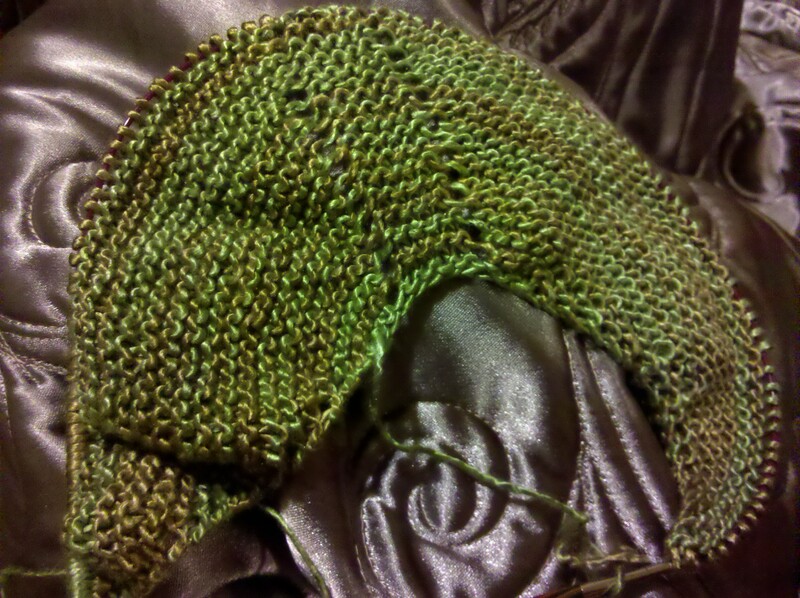 This one out of Regal Silk, Artyarns, in a gorgeous green from Suzanne. So awesome! I knew you’d do it proud. 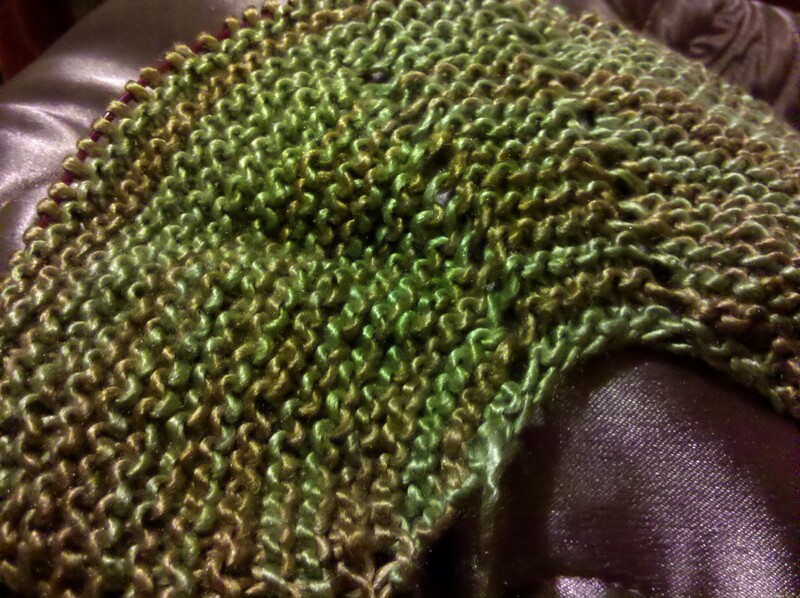 I am determined to finish it tomorrow (if not tonight, I can do a late night tonight, no work tomorrow). I worked the last 2 days and didn’t touch it, so sad! !